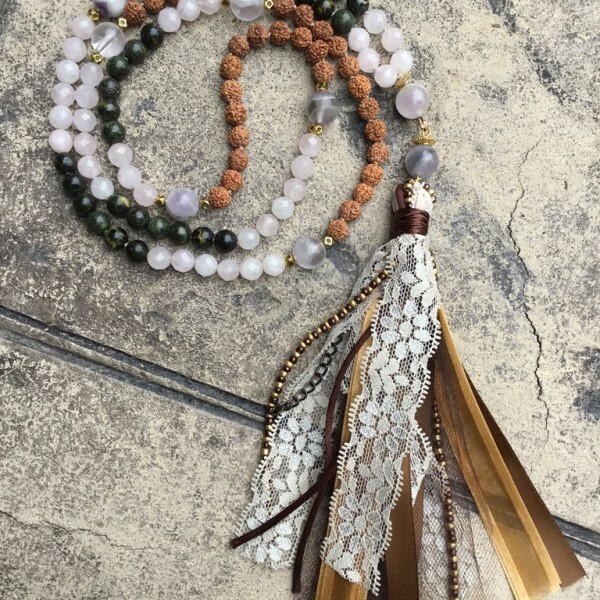 Hand- knotted with intention and love by me……made traditional style hand-tied knots between each bead. 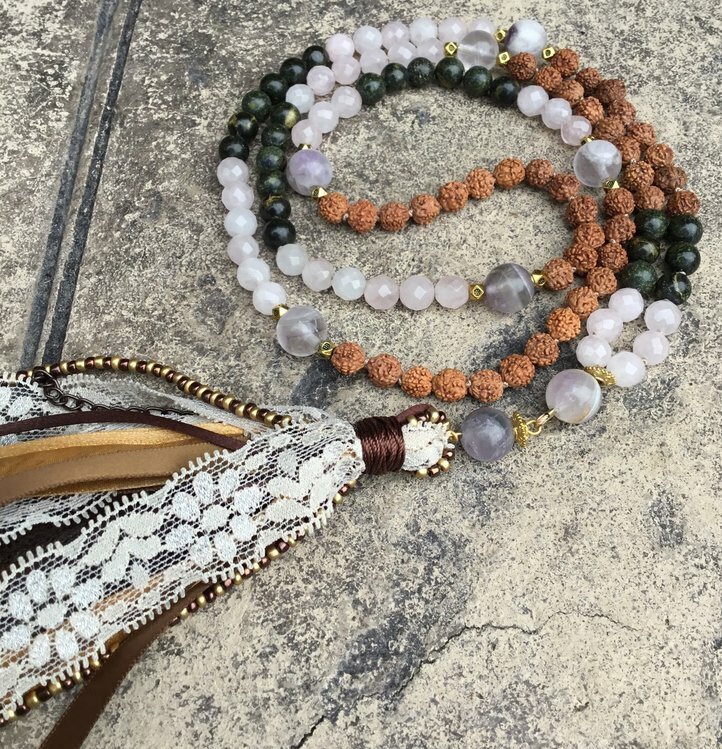 This technique allows the Mala to lay gracefully on the body when worn. 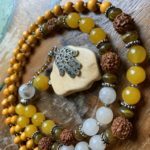 It also will make your meditation more smooth and fluent, as you move your finger over each individual bead with your mantra. Dark Green Malachite, 8 mm, encourages change, renewal and protection. Protection from negativity during transition or transformation. Protection for people who travels a lot. Rudraksha seed, 7 mm, often referred to as beads, are actually seeds that grow inside of what looks like a blueberry. 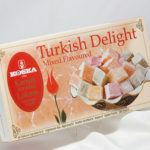 Medicinally, they are known to heal the mind and body ailments. 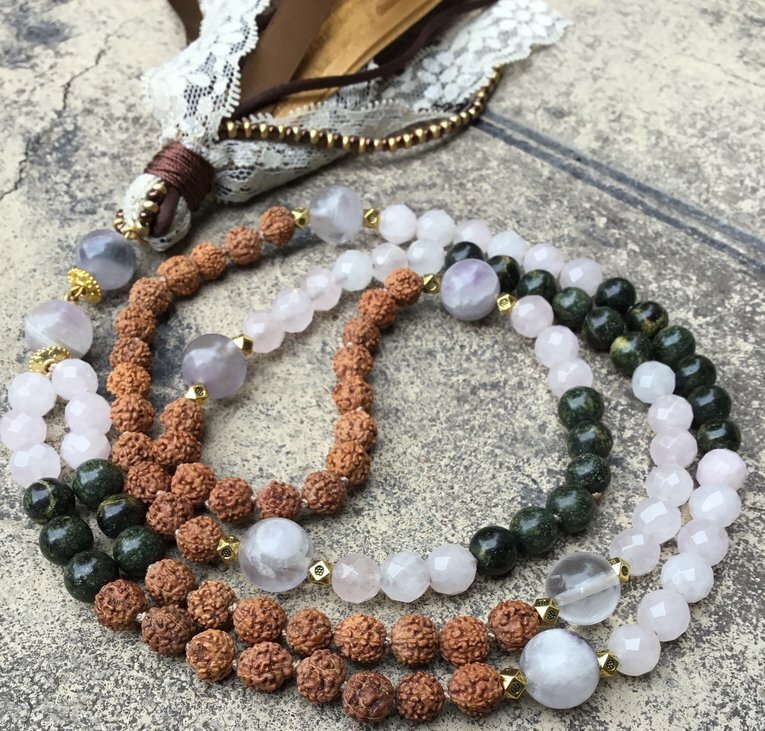 All materials that were used from reputable sources and I take great care to cleanse and treat gemstones with the most love and respect while I’m making the Mala. SKU: KOL44. Category: Gift Set, Gifts For Her, Gifts For Him, Gifts Unisex, Jewellery, Necklace. 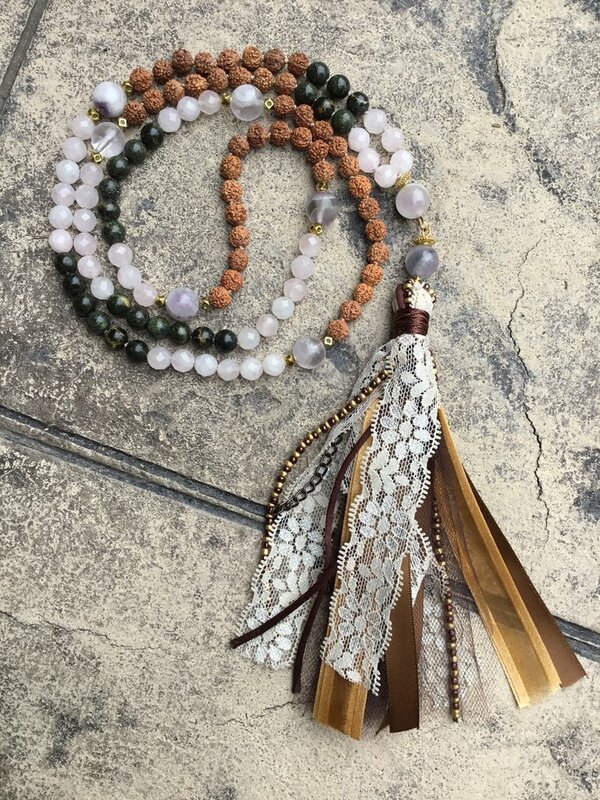 Keywords: Handmade, Meditation, Yoga, Necklace, Seed Beads, Mala, Rose Quartz, Dark Green Malachite.